LONDON - An odd thing has happened to the British system of government. Westminster has long been regarded as the seat of democracy in its best form. The Westminster model has been proudly offered round the world, and widely emulated, as the surest system for ensuring long-term stability and democratic progress. But today, at Westminster itself, and in the British House of Commons, the Westminster model is looking very sick. The Commons has come to a grinding halt over the issue of the United Kingdom’s departure from the European Union, unable to agree on any way forward and generally locked in paralysis. In the country as a whole there is rising fury, with claims that Parliament is out of touch and is failing to serve the nation, and that if members of Parliament cannot decide what to do then the issue should somehow be put back to the people. It is being argued that parliamentary democracy, the mediated system that has worked so successfully for centuries past, has failed and that a broader kind of mass opinion should now decide. But this is where the real problems begin, and where misunderstanding is at its deepest. 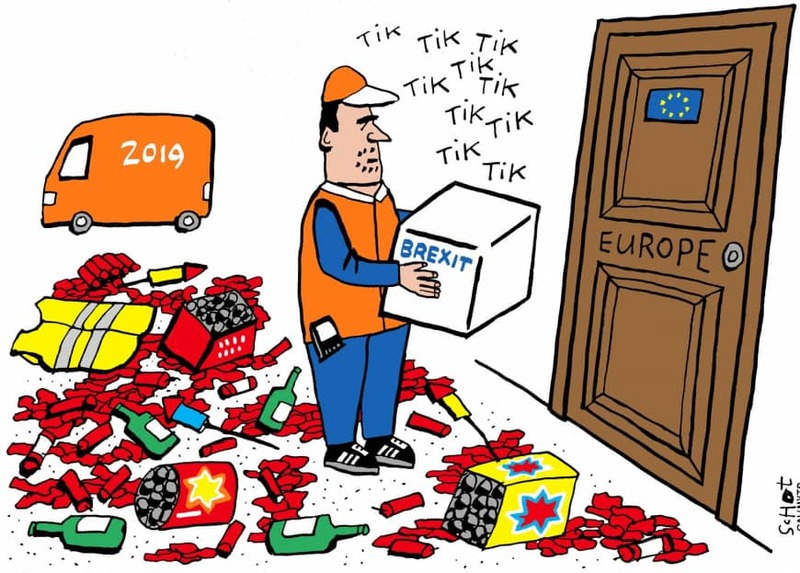 It was precisely the mass vote of the people, in the Brexit referendum of 2016, which produced the simplistic but toxic division of views between the would-be “remainers” in the EU, and the would-be “leavers” — with the latter around a million votes ahead, which is now reflected in the complete current parliamentary deadlock. Members of Parliament are now dug deep into their respective trenches, in a political scene reminiscent of World War I. Prime Minister Theresa May has bravely sought a compromise solution, fully agreed with the rest of Europe, but as in wartime no-man’s land, she has been attacked with murderous fire from all sides. With ugly stalemate in Parliament, the cry goes up to return the issue to the people. But it does not seem to have occurred to many that in today’s world of total connectivity and instant communication via technologies of unimaginable power and focus, seeking democracy through mass voting has become dangerously vulnerable to manipulation — to a degree never before encountered. This applies not just to such devices as referendums or plebiscites, which have long been open to oversimplification and unscrupulous exploitation (as the tragedies of 20th-century Europe proved) but to all elections, including the kind on which parliamentary democracy rests. With almost every individual empowered by web-access to the public debate, and every individual singled out for propaganda bombardment by algorithms of incredible power, the whole system of garnering and marshalling opinion becomes impossibly distorted. Cascades of fake news and scare stories can be pumped out, and are so being, tailored precisely to the worries and concerns of individual voters and target groups. 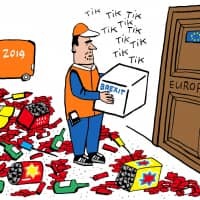 In the 2016 Brexit referendum campaign it is estimated that the “Leave” side combined a billion targeted messages with clever slogans to influence personal opinion more powerfully than ever before. But now there is a bigger danger still than this kind of high technology manipulation inside any one country. Far from being just a domestic matter, it now becomes an international issue of poisonous proportions. Of course, countries have long been able to interfere in the voting and internal debates of other societies. That went on right through World War II as rival combatants poured out propaganda and false stories to frighten rival populations. But technology and the cyber age have opened the way for foreign meddling with domestic voting to be far more deadly. In the United States the concern about Russian interference in American elections, through streams of false bots and cleverly crafted myths has been widespread. Disinformation has become a world currency — and a cheap one, too, allowing not just weaker nations but sinister hacking groups of no known allegiance to undermine and confuse facts and truth. Maximum disrupting impact on a country can now be achieved by a hostile source at minimal cost. And the interference may not stop at opinion shaping and peddling fake news, but be carried electronically into the actual mechanisms of vote casting and recording. Over the next two years numerous elections are scheduled to take place throughout the democratic world, and no doubt some near-plebiscites, dressed up to look like open elections, in more thinly democratic countries as well. The identified international disrupters may be countries like Russia, China, Iran and North Korea . But the real alarm is that the disrupters have all kinds of reinforcements to hand already working for them inside the target destinations. Trolling on social media, almost unchecked by the weak efforts of the major platforms and technology companies, does the work of the malign interferers for them. Discord, descending into street violence, can be sown and all forms of democracy discredited, with terrifying ease. Collective international effort is required to counter all these evil forces. Individual nations cannot address the assault on their own. There will be a need by governments to bring civil society and technology companies into a combined effort to repel the destroyers and the manipulators of all kinds. In the meantime, with mass opinion empowered as never before, and mass opportunities to bend opinion more accessible to distortion than ever before, both at home and from abroad, the old trust in reflecting public opinion through the filter of parliamentary democracy is being severely strained. Parliaments will find themselves trapped and paralyzed by forces far larger than the old familiar kinds of political and public debate. The true voice of the people has become harder and harder to discern or act upon. Such is now the position at Westminster, the home of, and hope for, democracy. For the British that is worrying and perplexing, but so it should also be for sincere politicians and true guardians of democracy everywhere.